Bored of the people you’re following on Instagram right now? Check out these must-follow celebrity kids on Instagram! Having celebrity parents definitely has its perks. With access to private jets, invitations to the most exclusive events in Hollywood, and a never ending wardrobe of clothes and shoes - these celebrity kids are living the life. You may have seen Sofia Richie as the sensible little sis on big sis Nicole Richie’s reality TV show Candidly Nicole. Although it may seem difficult to create your own path when your father is musical legend Lionel Richie and with your big sis being a fashion icon, it hasn’t stopped Sofia Richie. She’s been able to create a name for herself through the reality show but more notably on Instagram. With her ever changing hair and her amazing fashion sense, Sofia Richie’s Instagram is a perfect source of inspiration. Daughter of Yolanda Hadid Foster, you’ve probably seen her making several appearances on the Real Housewives of Beverly Hills. Gigi Hadid is a force to be reckoned with when it comes to modeling. At the young age of 19, she’s already established herself in the modeling industry having walked in runway shows that aspiring models only dream of walking in including Marc Jacobs and Chanel. Her Instagram captures her modeling career, traveling around the world, and attending fabulous events. She's definitely one to follow on Instagram! You may have seen her on Kendall and Kylie Jenner’s Instagrams a few times, but Hailey Baldwin has some connections of her own. Her father is Stephen Baldwin and she's the niece of Alec Baldwin. She’s an aspiring model and has walked for Topshop during London Fashion Week. Going to fashionable events and hanging out with other famous celebrity kids including Jaden and Willow Smith and the Jenner sisters, Hailey Baldwin is a must to follow! 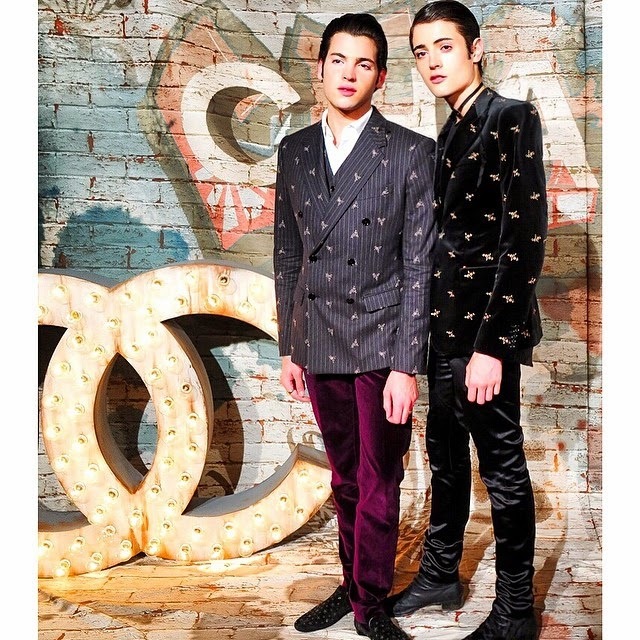 Peter and Harry Brant's father is Peter Brant, an art collector and publisher of Interview Magazine while their mother is former supermodel Stephanie Seymour. Naomi Campbell, Michelle Rodriguez, and Karlie Kloss are just a few celebrities that have been featured on the siblings’ Instagrams. Not to mention they’re practically besties with the top dogs of the fashion industry including Riccardo Tisci, Givenchy’s Artistic Director, Olivier Rousteing, Balmain’s Creative Director and Derek Blasberg, Harper’s Bazaar’s Editor-at-Large. Attending exclusive parties and glamourous events, these socialites are definitely ones to follow on Instagram.